This product completely changed the way I take care of my hair. When it comes to hair care, there's a ton of information out there: Use this, don't use that, wash your hair less often, wash your hair more often — the list goes on. At this point, I use so many products that doing my beauty routine is more like being a cocktail mixologist. That's why I decided to simplify. And while there are lots of fabulous hair products on the market, there's one that I'll never give up. 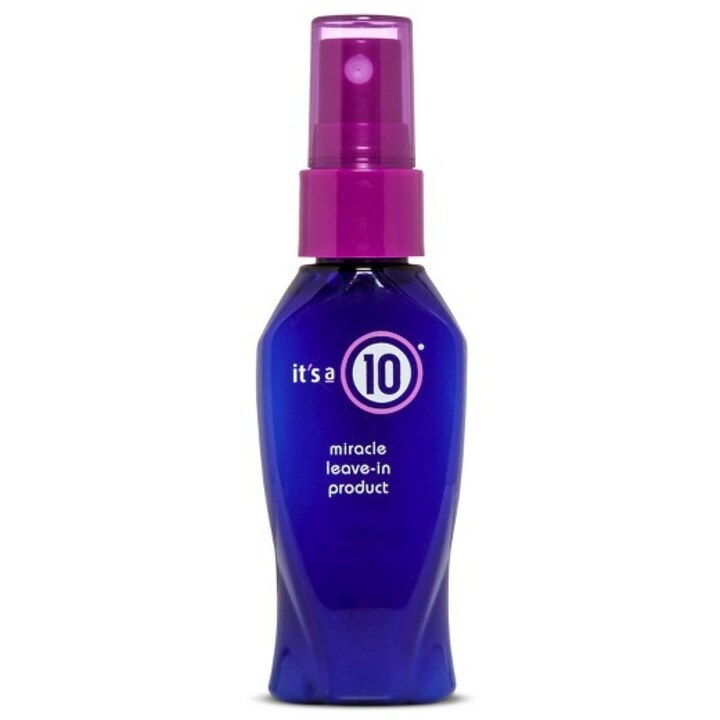 You've probably seen It's a 10 Miracle Leave-in Product, but have you ever tried it? One Saturday morning a few years ago, I was at the hair salon getting my hair highlighted and found myself yanking and pulling at my knots and tangles — a common occurrence for my long, wavy hair. A woman (or guardian angel?) suddenly turned to me and said something along the lines of, "You really shouldn't be pulling at your hair like that. 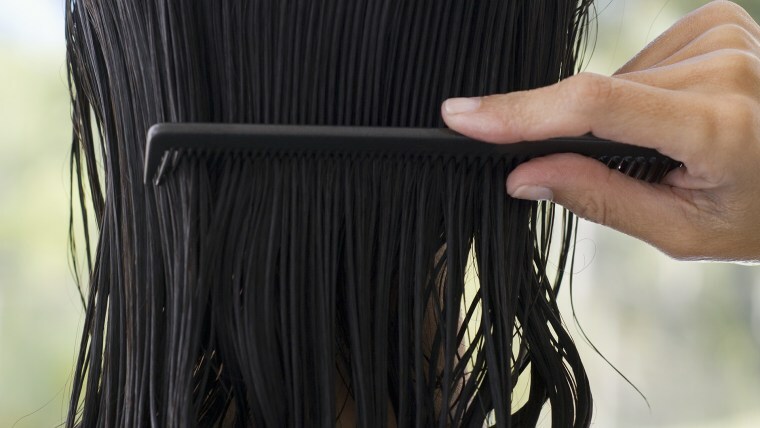 Do you want to try this detangler?" She must have seen my hesitation because she continued, "I use it on my 6-year-old god-daughter and it's the only thing that will actually get her knots out." Alright, I was sold. I took the little purple bottle she had with her and ... it was magic! When I went to run the comb through my hair (that's right: You should always use a comb on wet hair), it glided between the strands without struggle. I took a picture of the bottle and headed straight to my local drugstore as soon as I left the salon. It was love at first spritz. What I didn't realize at the time is that it's so much more than a detangler. It also works as an frizz fighter, heat protectant, shine enhancer and damaged-hair repairer, just to name a few. While it is a bit more expensive than your average drugstore brand, the bottle lasts a fairly long time: around four to six months depending on how often you wash your hair. I use only three to four spritzes per use, so a little goes a long way. 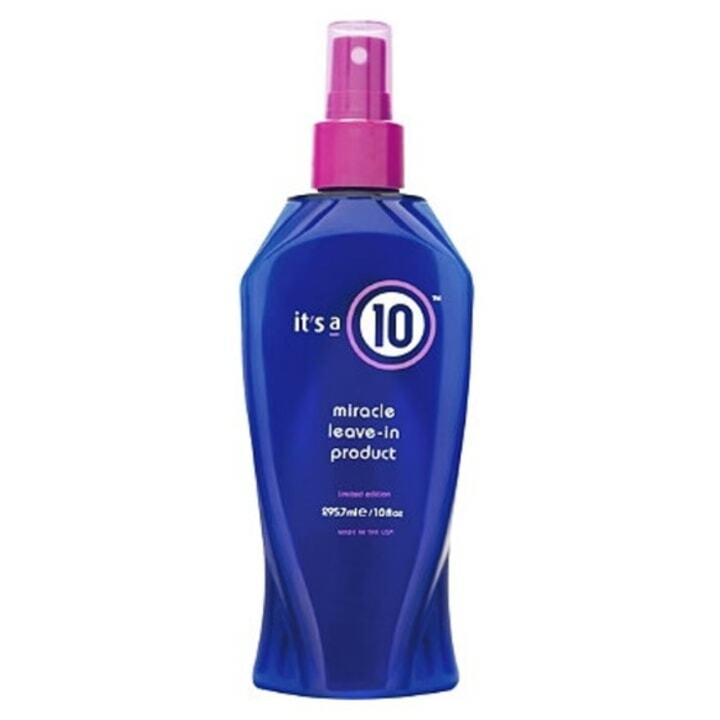 Since I've started using it, I've noticed that I have less breakage and damage, which, as someone who regularly blow dries her hair and uses hot tools, is really important. Overall, my hair looks shiner and healthier than ever. We love the travel size because it easily fits in a gym bag or overnight bag, you can also get a 4 oz. version for $18. 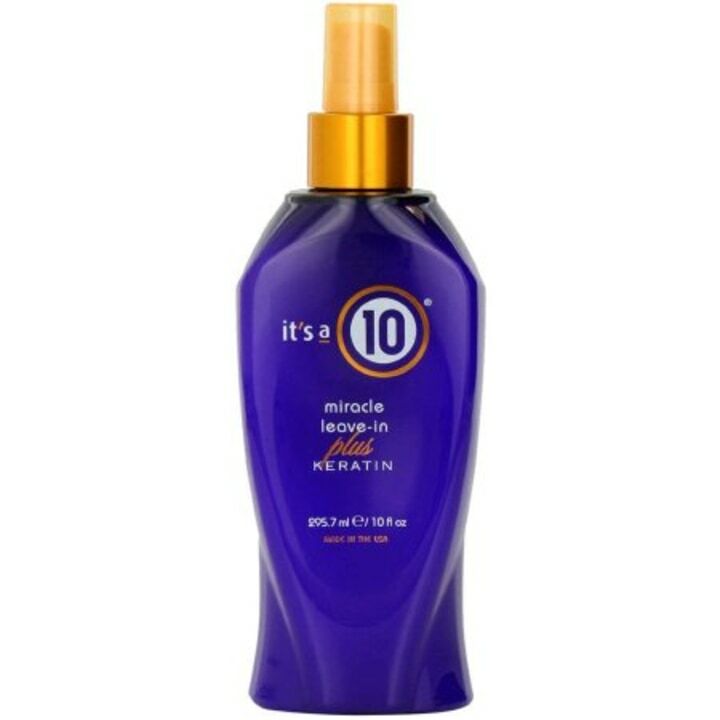 They also make one with keratin the helps nourish and strengthen hair, especially hair that's been through a keratin straightening treatment. If you're looking for a more affordable option, here's a leave-in conditioner that has Gwen Stefani's seal of approval. 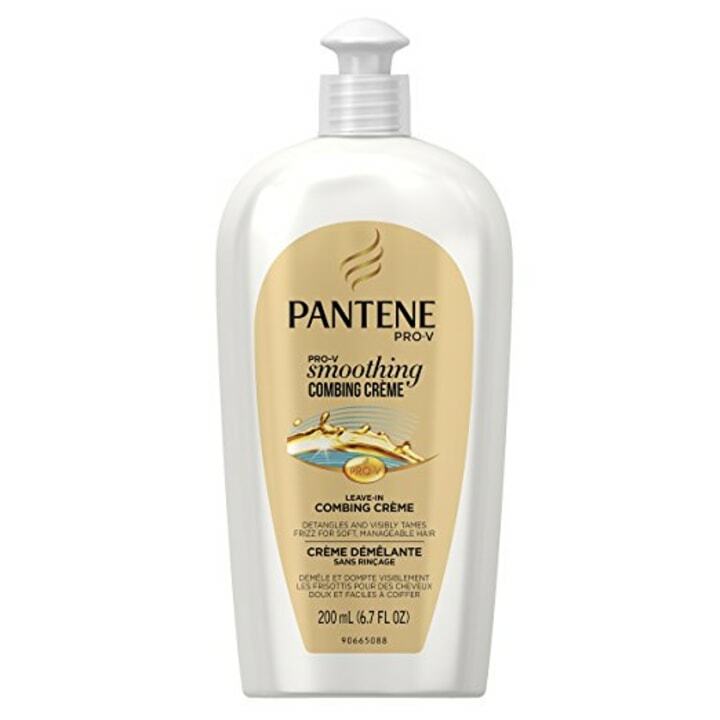 Gwen Stefani's hairstylist Danilo credits this conditioner with keeping the star's hair healthy, even after regular dye jobs and heat styling. Want more celebrity approved products? Jennifer Aniston's stylist spilled his go-to hair oil or try the nourishing hair mask she helped create. For wavy-haired gals, Gal Gadot's hairstylist spilled his favorite spray for effortless beach waves. This article was originally published on September 25, 2017 on TODAY.com.